The price of petrol is set to go up again, which affects our budgets but doesn't have to have a negative impact on our style goals. How? Two hints - confidence and metallics. Hello, #VDJ2018.... ???? ?? : @orapelengmodutle ?? : @gucci ?? : @beauty_by_caddie ?? : @louboutinworld #OwnYourThrone?? Used to caption images or tweets that pertain to someone owning the moment, feelin' themselves or preaching self-confidence; the opportunity to own is not always that effortless. Because funds. And lack of confidence. I'm a firm believer in faking it 'til you make it. Meaning dressing the part, playing the part. For example wearing that killer dress and heels (that really cost only R399) while splashing confidence all over, yet having only R500 left for the month (and it's only the 7th). No one else's business that you're going home every night eating dry toast and Bovril. Mimicking the confidence of those living the glam life, those owning their throne(s) of choice (be that work success, luxe living or finding the one) is possible. No goal is out of reach or should be devalued. Professor of organisational behavior, Herminia Ibarra, writes in the Harvard Business Review that we mimic those around us already from birth. We mimic our parents and their behaviour. She is a great advocate for employing 'fake it 'til you make it' strategies, saying: "The only way to pick up the “softer” skills that we need to lead with greater impact is to observe and emulate people who already have them, trying their strategies and behaviours on for size before making them our own." In the age of social media, we aspire to the lives of those we follow. Constantly comparing ourselves to their (real or imagined) success. But by mimicking those we aspire to be, be they social stars, celebs or CEOs, we need to employ soft skills that can help us achieve our goals. These go beyond qualifications (which are of course important for specific careers) and can be in the way we dress, where we hang out (to network and make connections with the right people), how we talk, etc. MentalFloss.com says power posing is recommended by Amy Cuddy, a Harvard Business School social psychologist. Ideally one should practice power posing at least two minutes per day. That means chest lifted, head held high, arms up. We read others body chemistry and this make assumptions about them based on how they present themselves to us. The same article also says that in group situations, early assertiveness becomes self-enforcing. Meaning that if you enter a group and speak about clear goals instead of small talk, makes the group see you are more self-confident and helps you to gain influence. An academic article published in the Journal of Experimental Social Psychology, delivered the results of a study conducted in the field of “enclothed cognition”. This tested the "systematic influence that clothes have on the wearer's psychological processes". Amongst other findings, the study concluded in three experiments that wearing a lab coat increases attention. But importantly, it was found that when the lab coat was subscribed meaning, like that its a doctor's coat, the symbolic meaning upped the participants' attention to detail and focus. 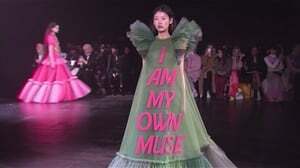 We, of course, subscribe value to dressing. Looking glam often means being successful. 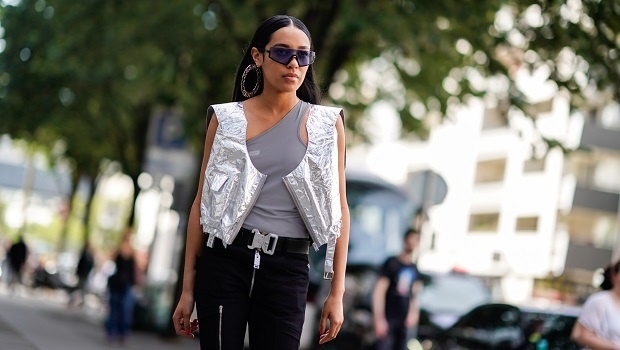 Nothing says luxe like metallics. The important thing is to make it look expensive and never tacky. Or get this shimmer dress from Spree.co.za, R699. There's of course nothing wrong with aspiring to luxe brands like Chanel. Luckily, for now, there are great alternatives that might result in you being able to pay rent, and nail that face beat. Instead of buying those super pricey brow tools for between R200 - R500, just get this: essence Make Me Brow, R55, Clicks. Avon True Foundation is great. Get it for just R154.90. Find your representative. 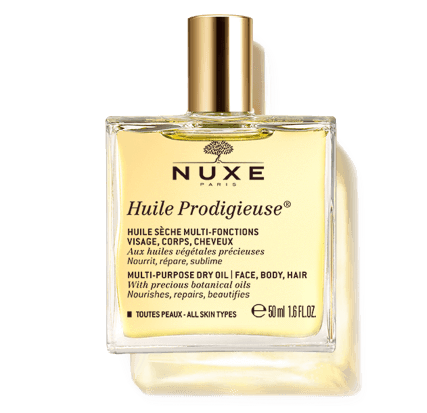 NUXE Huile Prodigieuse Multi Use Dry Oil 50ml is basically the best scent EVER! It is a dry oil, which means you can use it all over your body, face and even in your hair. It smells like the Michael Kors signature scent that's over R1 000, but at only between R280 online and R300 in store, it's a steal! But are you acting 'as if' for the right reasons? Psychology Today stresses that even when dressing the part, and acting 'as if' you have confidence, you should always consider why you're doing this. What is your motivation? Wearing the right clothes, presenting yourself as a pro living a luxe life with the use of makeup and having the right posture should not be to impress others, or solely employed with the goal to change others perception of you, but to ultimately change your inner confidence. Ek is 'n Christen. En 'n trotse Afrikaner. Ek hou van biltong en braaivleis maar ek is mal oor seekos!